Founded in 1886, the Acadian Museum of the University of Moncton has more than 38,000 objects and photographs. Discover one of the largest collections in the world of Acadian artifacts. The permanent exhibition at the Acadian Museum of the Université de Moncton entitled “Acadian Adventure” is a dynamic and innovative way to present the Acadian history of Atlantic Canada and the history of its material culture. It presents a renewed history of the Acadians. It is divided into two parts, a chronological part starting in 1604 and a thematic part looking at domestic life, religion, education, politics, Evangeline, folklore, culture and arts, even a small foray into the world of business. Colors and accents today show us the realities of the past and make us understand that the Acadian adventure is far from over. 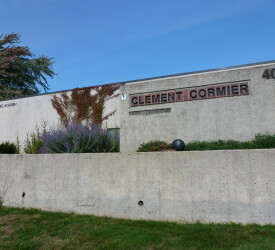 Located in the Clément-Cormier Pavilion of the University of Moncton and open year-round, the museum has a permanent exhibition and temporary exhibitions. Also at the Acadian Museum of the University of Moncton : guided tours and screening of historical documentary films.